Two Memorial Days during my lifetime will stand out among all others. The first was in 1969 during my tour of duty in Vietnam. I recall the Chaplain leading us in prayer for all veterans who had given their lives for our country and the freedom we enjoy and for those of us engaged in the war that we would return safely home to “The World”. Well, I was one of the fortunate ones and I thank my Creator to this day. Unfortunately, the reception we experienced was not one I was prepared for. The reactions from people were much less than desirable so I began stuffing it all down, rationalizing I would deal with it later, if at all. I couldn’t wallow in it; I needed to move on with my life. Each time memories would surface I would give them the tough, football stiff arm and shove them back down. About five years ago I was meeting with a Christian counselor and one of the issues that surfaced, unintentionally of course, was my Vietnam service and my way of handling the rejection. Carol, the counselor, recognized immediately what I needed and she didn’t hold back. She was highly regarded as a pure straight-shooter. “You need to go to the Vietnam War Memorial in Washington DC and you need to go there with someone very special…someone who loves you, understands you and who will be there to support you” were her words. My thought? Right! Maybe someday, but who in the world would fit that criteria? I remember something a very wise friend told me. Our position at any point during our lives is pretty much based on the important decisions we made five years prior. In retrospect, it has proven to be pretty accurate. In the case of Memorial Day 2006 it was spot-on. Through a series of events I was led to join the DOVE Fund family at the beginning of this year. One of the outings being organized by our Executive Chairman, Tim Kearney, was a trip to Washington DC for Memorial Day weekend to participate in the laying of the wreath ceremony at the Vietnam War Memorial, “The Wall”. Of course, I just had to make that trip. I am a firm believer…There are no coincidences, my friends. “The Wall” is an amazing tribute to our fallen comrades. It is multi-faceted and gradually envelops you. It is stately, regal, reverent, solemn, sad, dead, alive and the list goes on. It was crowded, yet the silence and respect shown by everyone spoke volumes. As a veteran, how can you wrap your mind around it all? I was struggling to do so when I was engulfed in a big, one-armed bear hug from a fellow DOVE member and Secretary, Tom Treece. Very softly and nodding toward “The Wall” he whispered, “There, but for the Grace of God, is our name.” Those words broke the dam. The stiff arm withered against the emotional force being released. Of course, it had to be Tom, my boyhood friend, Christian brother, Vietnam veteran and fellow DOVE Trustee who has been processing effectively for decades. It was perfect. He fit the criteria in every way. “Sometimes a hand-shake isn’t enough! People are always asking me, “why?” Why did you start doing all this? 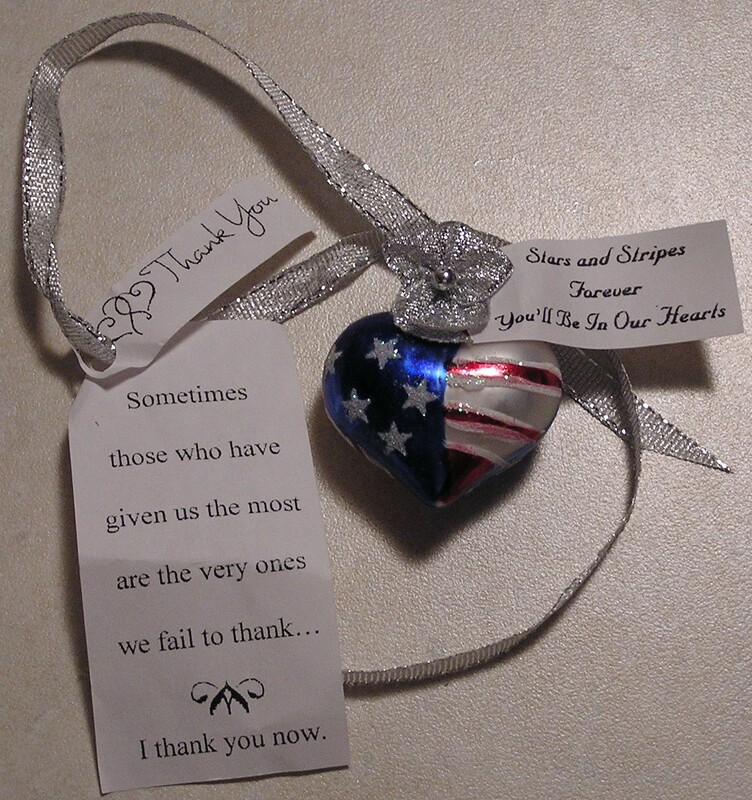 (Shaking veterans’ hands in Thanks or handing out thank you gifts). But I never really had the words to explain. I guess it started with you, Dad, when teaching my brother to salute the flag and for my sister and I to stand with our hand over our heart. So as we stood watching the many parades pass by, we would stand with our hand over our heart for every American Flag with pride. I’ve always gotten emotional when hearing our National Anthem, but it was the first time I saw “The Wall”, “The Wall of Heroes”, the Wall of names of our Vietnam Vets. To see your face reflected back knowing the name in front of you gave his life for me, for us. So ever since then I try to thank each and every Veteran I meet. So just don’t wait for it to happen; seek them out and thank them now. It is with sincere gratitude that I write this letter to you. There is no way you could have known how your “thank you gift” would be used so appropriately to touch someone so deeply. 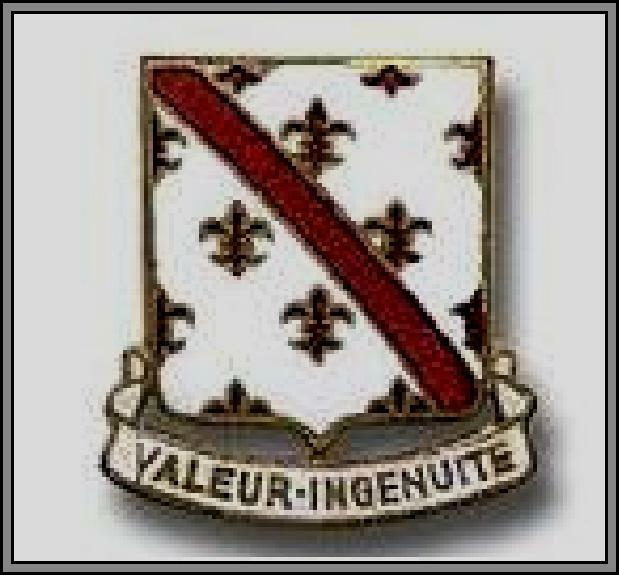 I served in Vietnam in 1969 with Co. A, 70th Engineer Battalion, Combat Army. When I returned home from the war I was especially hurt by people’s reactions that I was a vet of “that” war. It put me off so much that I suppressed all of my feelings, memories and emotions about the war for 37 years until a handful of months ago. Through an interesting series of events, I was re-acquainted with a hometown, childhood friend, Tom Treece, from Monroe, Michigan after having lost track of each other for nearly 40 years. Tom, as it turns out, is also a Vietnam Veteran and a member of an organization called the DOVE Fund. He returned to Vietnam a few years ago with the DOVE Fund and wrote a book entitled “Ghost Closet” which is an account of the healing he experienced on that trip. Re-connecting with Tom and reading the Ghost Closet has been a conduit for me to begin my healing process, which has been long overdue. My trip to D.C. and my visit to The Wall was one of what will be many important steps along this healing path. God has unique plans for each of us and this particular plan was fulfilled when you, Carla, handed your “thank you gift” to a friend of mine. His name is Dave Langendorfer from Toledo, Ohio. Dave, Tom and I were there as DOVE members to participate in the laying of the wreath ceremony at The Wall on Memorial Day. DOVE is a non-profit group consisting of Vietnam Veterans, friends and family of Vietnam Veterans and other humanitarians who are interested in helping the Vietnamese children by building schools, medical facilities and clean water projects in Vietnam. Our group provides veterans the opportunity for healing by returning to Vietnam to accomplish the mission which we set out to do in the war many years ago…helping the Vietnamese people. Your involvement in this sequence of events was your simple, yet profoundly significant gesture of saying “Thank You.” Little did you know, but after you handed my friend Dave your gift on Sunday night at the concert, he in turn gave it to me the next morning. He told me the story of how you gave him the thank you gift and his words to me were, “Even though I am a Vietnam-era Veteran, I did not serve “in” Vietnam. So, John, please accept this gift as our way of saying “Thank You.” Dave was only part way through his comments as my eyes filled with tears and my lips began quivering, trying not to break down. As hard as I tried, I could not hold back the flood any longer. The appreciation shown by your thank you has healed a hurt buried decades ago. Poor Dave didn’t know what to do except smile with tears in his eyes and hug me. Your appreciation of our service in Vietnam has a very special place in my heart. Each year as Gail and I put your gift on our Christmas tree I will be filled with joy that you helped me along my path. I will treasure your thoughtfulness and gratitude always. If you are interested in understanding more about DOVE, you can visit our website at www.DOVEFund.org. Yes, the DOVE Fund family is a great group of people. Each and every one of us is focused on helping the people of Vietnam, especially the children. It is a humanitarian effort, the fruits of which will be tremendous. It is rewarding. It is healing on many levels. The serendipity is the wonderful appreciation the DOVE members receive, especially from the children as the envoys return each year to Vietnam to review progress of the facilities being built in the name of the DOVE Fund. My next step? My return trip will be in March 2007.